Epic are the adventures of Indiana Imp and his fedora. I was able to acquire a new tablet laptop, so I don’t have to use this thing anymore. It was fun to use something different for a while though. 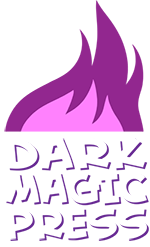 This entry was posted on Monday, January 4th, 2010 at 12:00 am and is filed under Comics. You can follow any responses to this entry through the RSS 2.0 feed. Both comments and pings are currently closed. 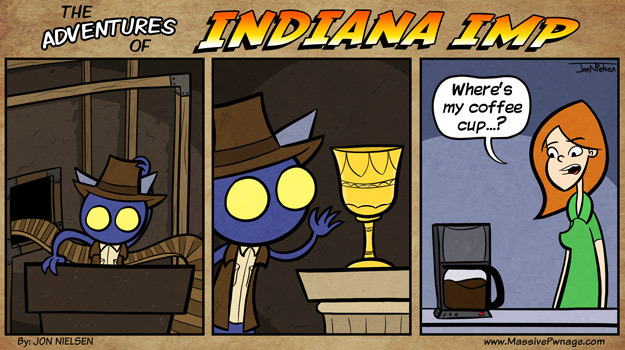 In panel one, is that a snake behind Indiana Imp? Also, where is Indiana’s satchel?! Ahhh, gotcha. It’s kind of hard to perceive the depth in the panel without some stationary object of definable height in the background. Yeah, I get what you mean. I was going for tracks suspended up in the air or something. It honestly didn’t come out like it was in my head.